We know it can be stressful to discover a tick on yourself, a loved one, or a pet. 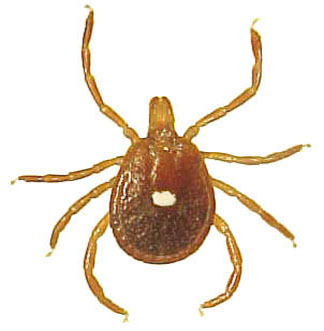 Tick-borne pathogens, including Borrelia burgdorferi—the causative agent of Lyme disease, are carried by over 75% of ticks in the wild. 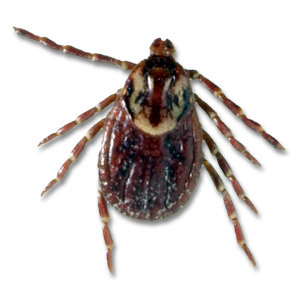 Having your tick tested for tick-borne pathogens is one of the best ways to determine your risk of infection. TickCheck can determine whether the tick that bit you carries the bacteria that cause Lyme disease and other tick-borne illnesses. Just order a tick test with the form below, mail the tick to our laboratory, and you will get your test results within 48 hours or less after we recieve it. Our average turn around time for the last seven days is 24.4 hours. 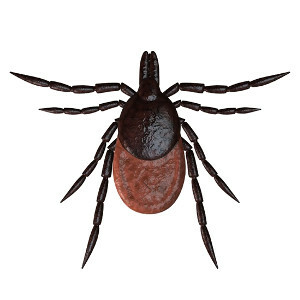 Help us track the spread of ticks. If you found your tick in an area other than your address entered above, add the city/zip here. What will the Basic Panel test for? What will the Advanced Panel test for? What will the Comprehensive Diagnostic Panel test for? Applicable to deer tick and western black legged ticks only. Note that the incubation process for the Powassan virus (POWV) is separate from other pathogenic tests. Therefore, we cannot perform the POWV test after the main testing process has already begun. For this reason, we recommend the comprehensive panel, which includes the POWV test. You many also order it here as an additional option from the start. When your specimen is received by the lab, we will prioritize your order to get you your test results as fast as possible. Orders with priority processing can expect results in 24-36 hours after we receive your tick. That's up to twice as fast as standard processing. Tick Card Remover — I want a tick remover that fits in my wallet. We'll immediately mail you specialized tick remover that fits snugly in your wallet. This tick card remover is extremely effective at removing ticks off skin and fur. In addition to an automatic email and text message, you will be mailed a copy of your official TickCheck laboratory results report describing your test results. You can include a check or money order payable to “TickCheck LLC” with your mailed specimen. You can also use our printable order forms.